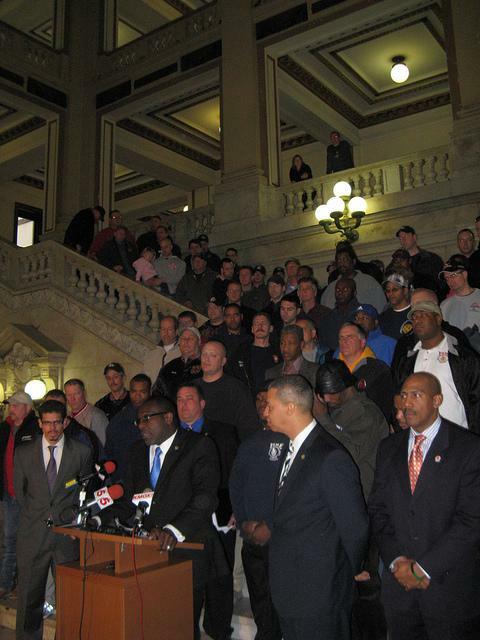 Board of Aldermen president Lewis Reed (center bottom) outlines a deal he has reached with firefighters on reductions to their pensions - a deal not supported by Mayor Francis Slay. 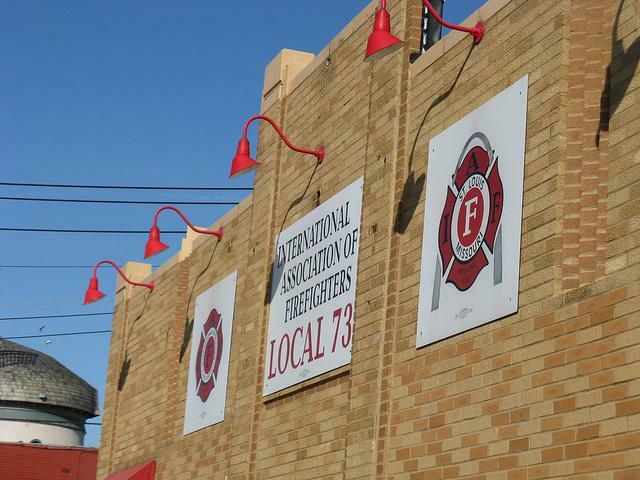 The dispute over the best way to reduce the cost of firefighter pensions in the city of St. Louis continued on Friday, with Lewis Reed, the president of the Board of Aldermen, laying out his plan. Reed, whose Twitter feed tracked the progress of a Thursday late-night meeting among himself, firefighters, and selected aldermen, says his plan will reduce the city's required contribution into the Fireman's Retirement System for next year by $7.6 million. Reed unveiled the plan at a City Hall news conference Friday. "We want to build a plan that would make sure that we keep our promises to the families that have worked so hard within the system," Reed said. "We also want to make sure that we build a system that is legal and sustainable, and also, we wanted to include all parties at the table." Reed's plan, as outlined by his chief of staff, Tom Shepard, does not change the benefits for firefighters who have already retired. Current employees would see minimal changes, mostly to disability benefits. New hires would get back 25 percent of the contributions they pay into the system. Current employees get that all back. The DROP (deferred retirement option) would be changed. That allows a firefighter to draw both a salary and a pension to keep experienced firefighters on the job. Average final compensation to determine a pension would be based on the salary over the last five years of a firefighter's career, rather than the last two years. Firefighters could vest after 10 years of service, (rather than 20), but would have to serve at least 30 years or until age 55 to retire with full benefits. Shepard says firefighters have agreed to eliminate the 30-year provision if more savings need to be found. Firefighters can currently retire after 20 years, regardless of age. Implement an accounting change that reduces the cost of the pensions in the short-term. Reed's plan does not ask for a larger contribution from current employees - that would remain at 8 percent. In addition, the plan would require permission from lawmakers in Jefferson City to make any of these changes. That makes it a non-starter for Mayor Francis Slay, says his director of operations, Sam Dotson. "If you don't have local control, everything that was proposed today is just questions, and just a wish list, because if the General Assembly doesn't make those changes, the city doesn't save one dollar," Dotson said. Slay's spokeswoman says the mayor was not involved in Thursday's meeting. Reed, who is widely expected to challenge Slay in 2013, says he wishes the mayor would stop playing politics. "I hope that he would agree to work on a plan that gets us past this issue once and for all," he said. "The plan he has before us right now has a very high probability of a major lawsuit that the city will bear the brunt of and we will lose." Slay's office disputes that his plan will result in a successful legal challenge. "We're not changing the playing field retroactively," said deputy city counselor Mike Garvey. 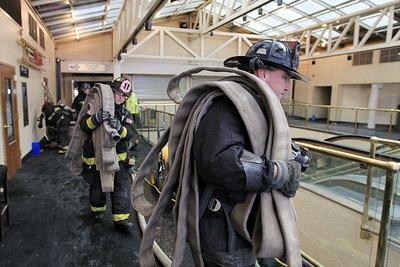 "Going forward, there are very minor modifications for current firemen. If you retire in a few years, the changes are almost insignificant. It's our legal analysis, and I think the majority legal analysis, and the legal analysis of the firm that we hired to help us with this that until you become vested and you actually have a right to the benefit, you can make minor modifications." Reed's office released a 2010 legal opinion from Thompson Coburn - the same firm Slay hired - that Reed says rules out making changes to current benefits. The legislation will go through the Public Safety committee, settling a two-week dispute over that issue. Its chairman, Greg Carter, says he'll hold at least two days of hearings, starting March 5. But at least one aldermen doubts there's any intention to move any legislation before the current aldermanic session ends on April 16. 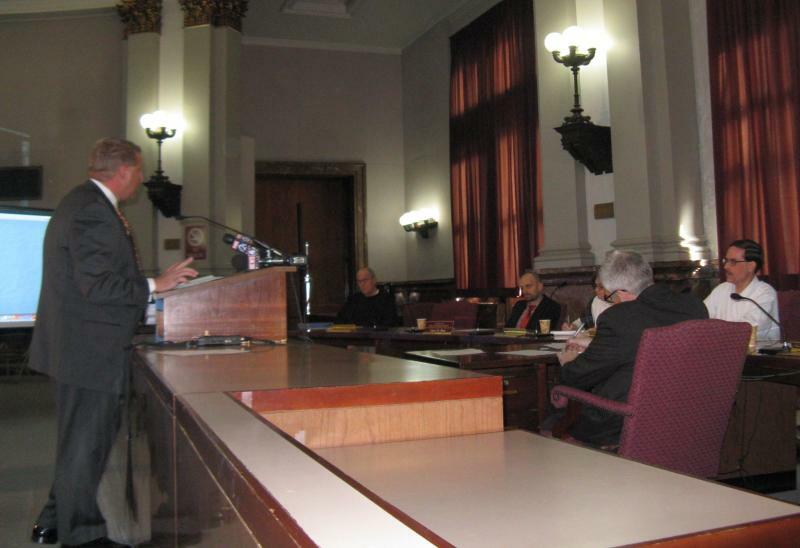 The political fight raging over Mayor Francis Slay’s efforts to reform the pension system for St. Louis city firefighters continued at City Hall Friday. The dispute started last week when board president Lewis Reed refused to assign the bills to a committee. Reed contends the board's rules give him until next Friday, Feb. 25, to make a decision. 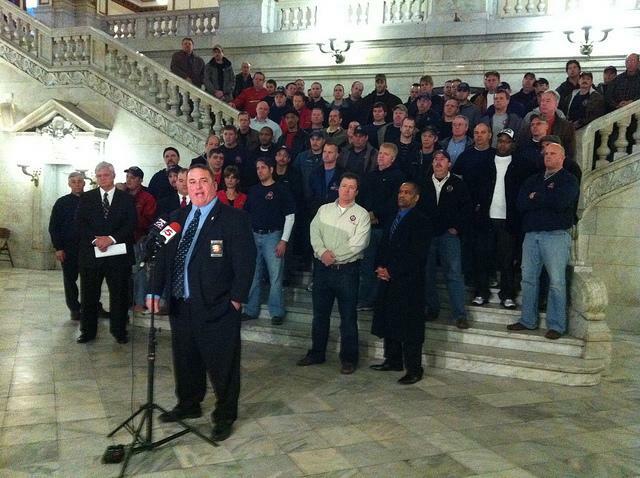 St. Louis city firefighters took their objections to pension reform proposals from Mayor Francis Slay to City Hall on Friday, the day the legislation making the changes was formally introduced. 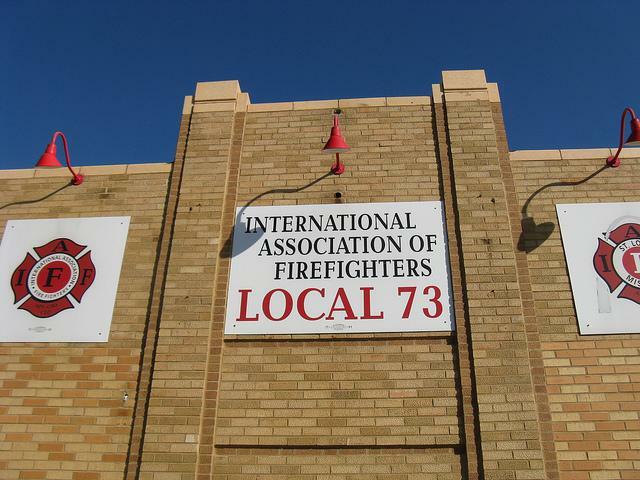 Firefighters say they don't object to the cost-saving proposals in the bills, including reduced disability payments for firefighters who can be retrained for a second career, and a two-tier system that could reduce pension benefits for new hires. Updated at 12:20 p.m. with comments from the firefighters union. Updated at 3:55 p.m. with timeframe, and more comments from Mayor Slay and the union. Saying the current system is financially unsustainable and could result in huge reductions to city services, Mayor Francis Slay has officially unveiled his plan to change pensions for the St. Louis city firefighters.